Tannersville is a cute, little mountaintop village with a handful of charming shops and eateries and some truly amazing views of the surrounding Hudson Valley. But it’s not particularly known as a center of cool music happenings. For the past five years, however, Green County’s 23Arts Initiative has been working to change that by presenting its annual 23Arts Summer Music Festival, which runs from July 13 to August 5. Weekend number one, July 13-15, is jazz-centric, with performances by singer Brianna Thomas and Newburgh saxophonist Camille Thurman. July 20-22 brings a presentation of Mahler’s full 10th symphony by the Argento New Music Project directed by Michael Galante. 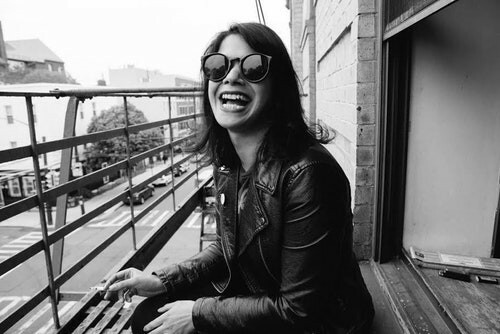 July 27-29 features Brooklyn punk blues diva Shilpa Ray; New Orleans prog rockers Hildegard; and the duo of Chilean guitarist and vocalist Camila Meza performing alongside Cape Town-based guitarist Derek Grippe. The series closes on August 5 with an outdoor set by pianist Damien Sneed and soprano vocalist Audrey DuBois Harris at Twilight Park, which overlooks the stunning Kaaterskill Falls. Several other artists are appearing throughout the four-weekend festival as well. The 23Arts Summer Music Festival takes place July 13 to August 5 at various venues in Tannersville, New York. For ticket prices and a full concert schedule, visit http://www.23arts.org/. To find out about more upcoming events in the Hudson Valley, subscribe to our weekly newsletter Eat. Play. Stay. ">To find out about more upcoming events in the Hudson Valley, subscribe to our weekly newsletter Eat. Play. Stay.